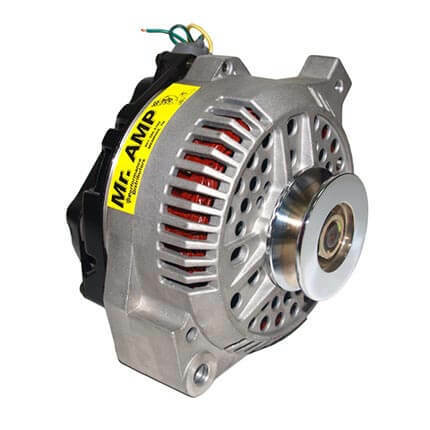 Our all new line of Mr. Amp Alternators have been improved to combine the best of both worlds, higher amperage output in a lighter more compact design! 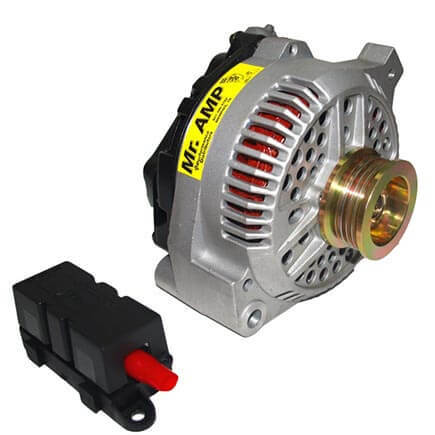 The new Mr. Amp features a shorter housing, making installation much easier compared to the previous version which required modification to the bracket or alternator itself. Amperage has been increased to 150 amps maximum output on the standard version and 240 amps on the HO version. More accessories can be run at idle as the new gerneration Mr. Amp’s output has been doubled to produce 130 amps. 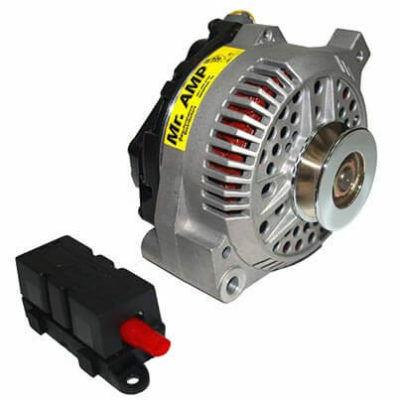 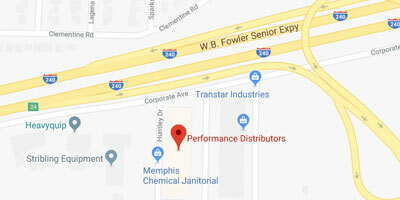 This means your headlights, A/C, stereo system, ignition system and any other power hungry components will operate at their peak performance level, even if you are running underdrive pulleys! 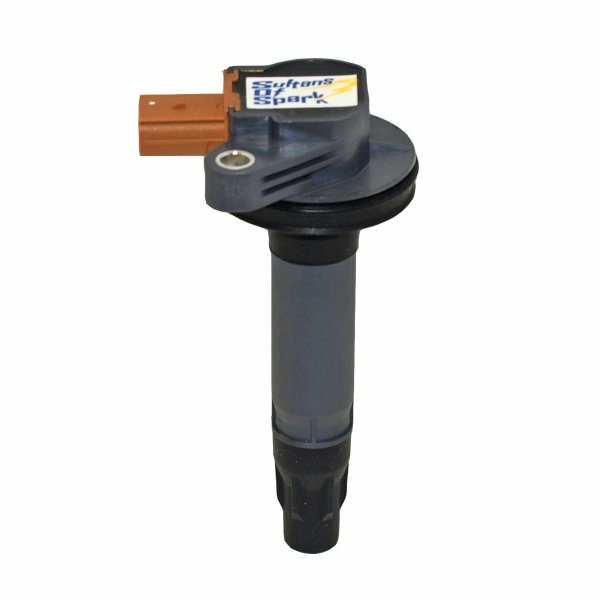 Additional features include an internal fan, heavy duty regulator and high-tech mega fuse with weather proof housing. 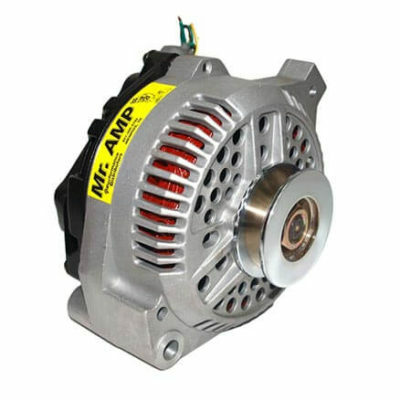 Available with a deep groove chrome plated V-belt pulley or serpentine pulley. 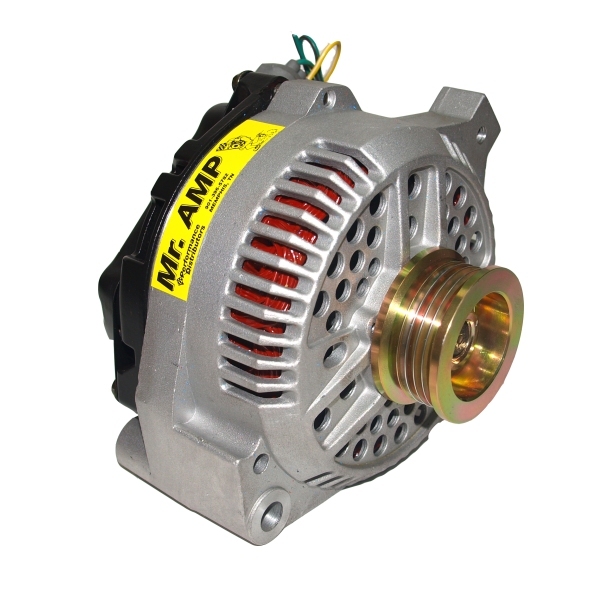 Mr. Amp Alternators come with six feet of 4 gauge cable and easy to follow instructions. The Mr. Amp alternator is covered by a one year warranty from date of purchase.